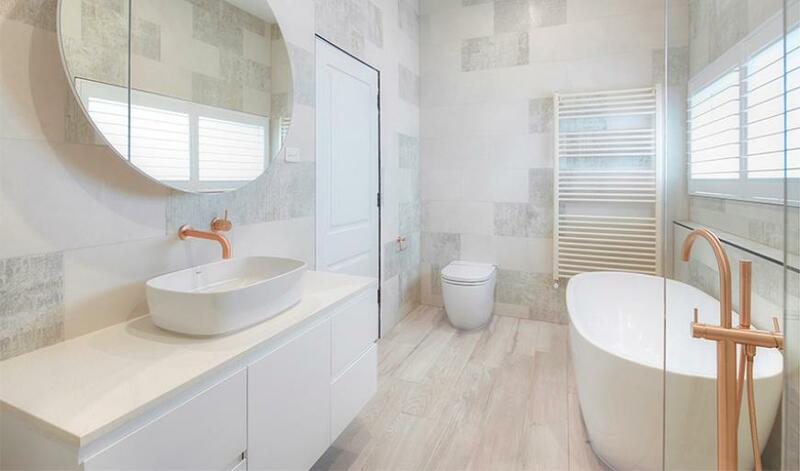 The key principles of Scandinavian style are functionality, minimalism, and simplicity, but in many cases, they come along with pastel and white shades, as well as the black and light wood addition when we’re talking about the Scandinavian interior style, including Scandinavian bathroom. 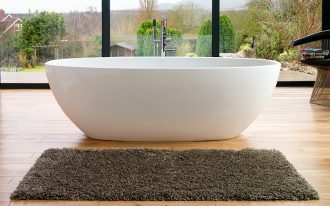 You can discover more designs of Scandinavian style bathroom in the following collections. 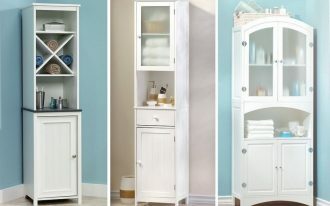 I wish the designs can be your inspiration and adoptable for your next bathroom remodeling project. Let’s start checking. 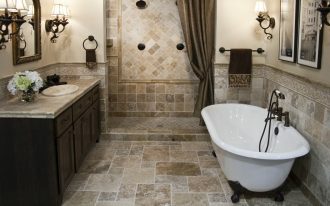 This main bathroom showcases huge elegance and clean look which is exposed by the neutral palette. The existed light tone, then, is accented with rose gold color applied on faucets. This surely delivers versatile and timeless look. 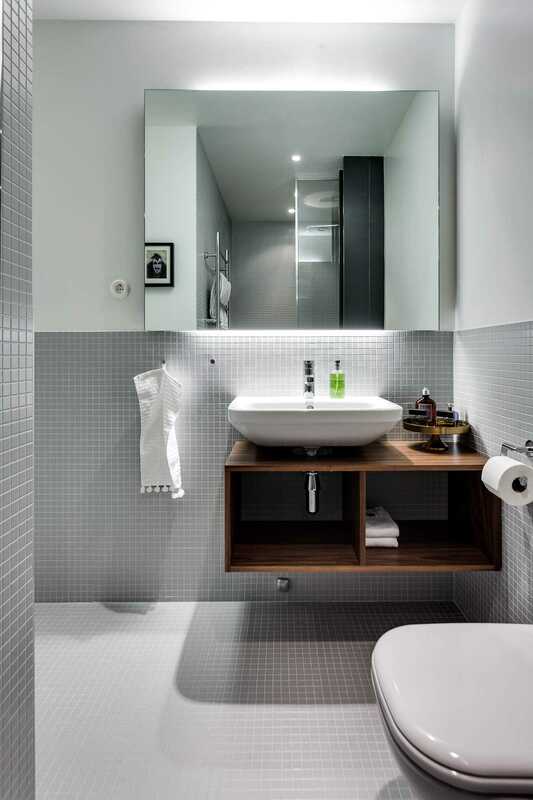 It’s unique because the bathroom is located in a rounded space with textured walls. 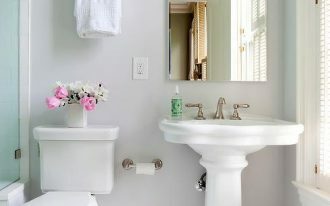 With right layout and fixtures choice, it seems easier to decorate this bathroom. The designer adds several round wall mirrors to give a unique visual effect. 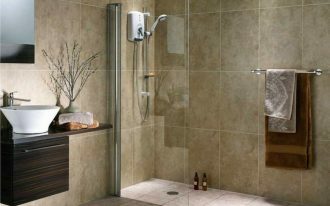 The vanity and toilet are installed in ordinary way in one of corners, while the walk-in shower here is built in semi-circular shape with circular curtain rod. 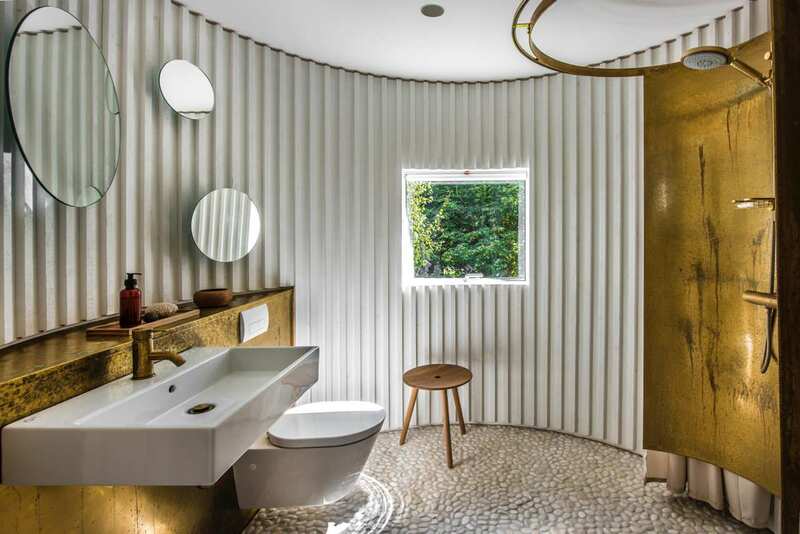 The gold accent here also adds much glam in this bathroom. I love this adoring ambiance and mystique in this bathroom. It performs a totally different Scandinavian look. 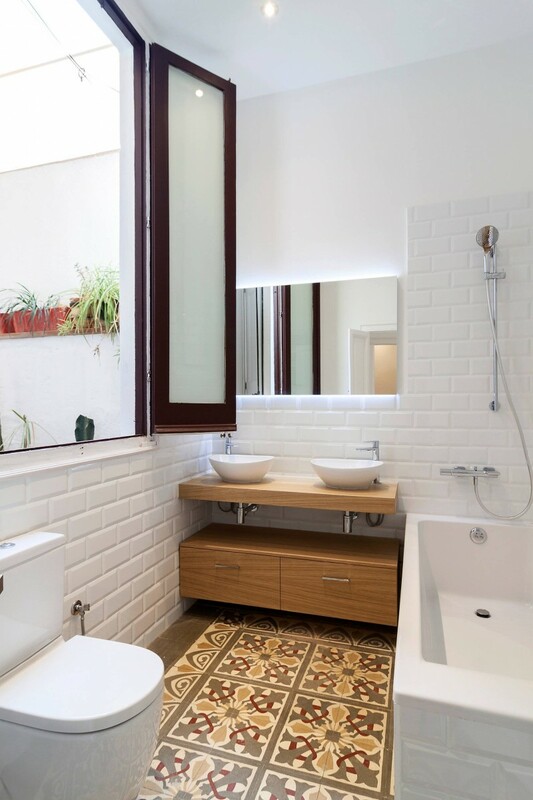 The patterns of tiles flooring obviously add special vibrant texture and boot up the entire space of room, while light elements here (light wood and light walls) give a softening contrasts to the floors. What a complete mixture! 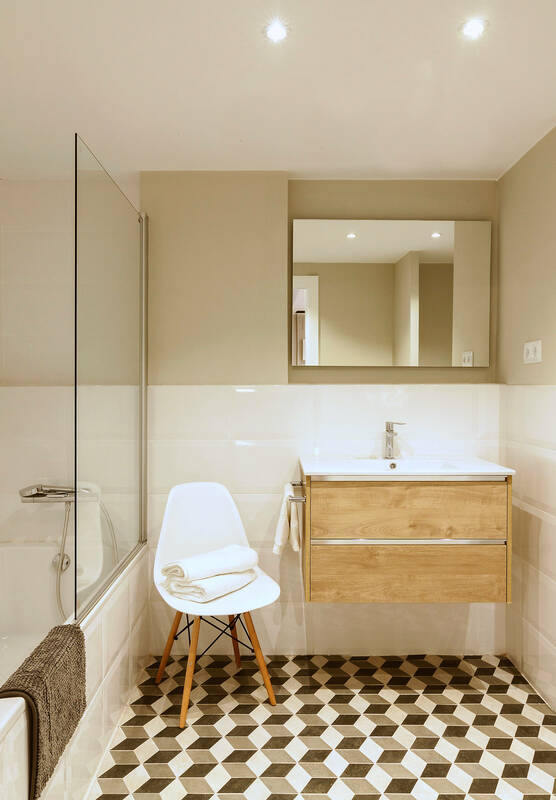 Another inspiring Scandinavian bathroom with patterned floor. The floor ‘strikes’ beautifully through the white subway tiled walls, giving a pretty contrast. 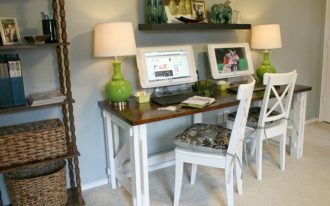 Wood element here also adds warmth, cozy feel, and clean look in this space. 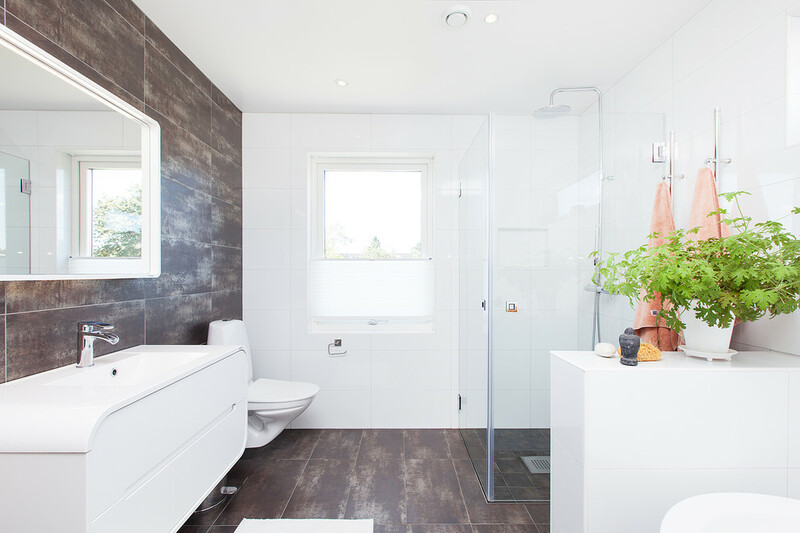 Really modern and refreshing – a Scandinavian style bathroom with a mini planthouse addition. Dark wood-reclaimed wall and floor give another tone in this dominated-white room, displaying a highly beautiful contrast of tone. And the greenery doesn’t merely refresh the room, but it also gives a living accent in this room. Very sophisticating! The space feels like gloomy but cozy. The lighting contributes a lot in creating this nuance. Gray mosaic tiles add gloomy but full of glows due to the lighting. 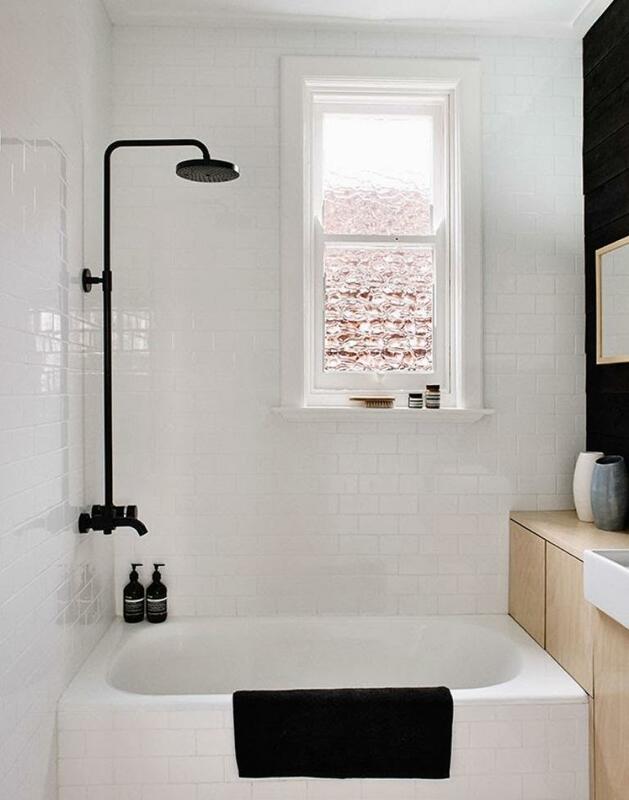 It’s so obvious that this bathroom exposes high contrast of black applied on shower faucet and some complementary bathing properties. Their existence is surely so striking over the white setting. Dark shades are okay but just in small portion for the color accent. Too much of dark shade will create a sense of overshadowed space and of course it’s out of the Scandinavian concept. 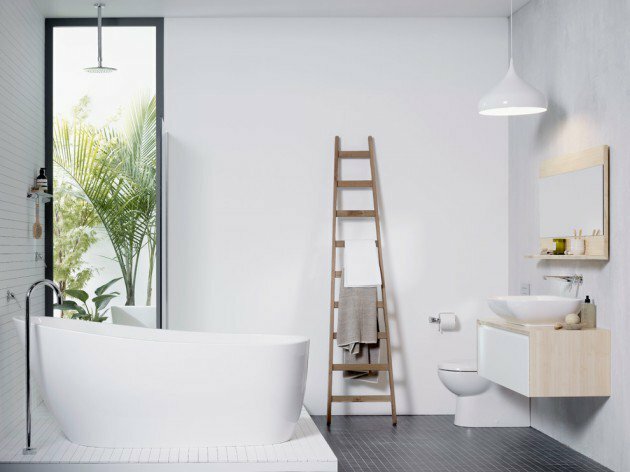 Indeed, soft neutral color becomes the main key of Scandinavian concept, but particular texture can be added for giving more aesthetic value to the bathroom. Give more dashes of color. 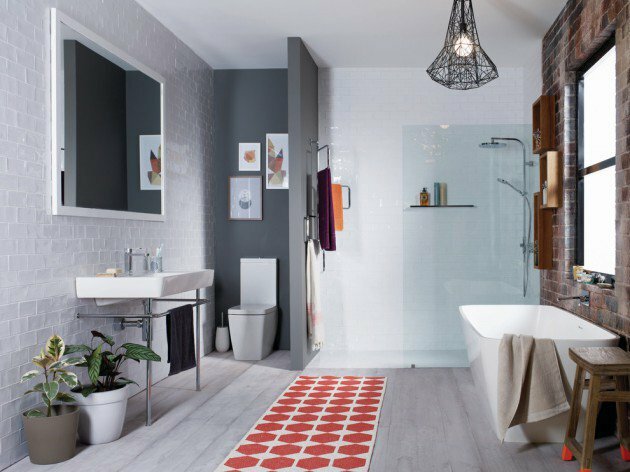 Don’t ever be afraid to insert pop of colors into Scandinavian style bathroom. You can use more playful colors to enrich interesting tones. 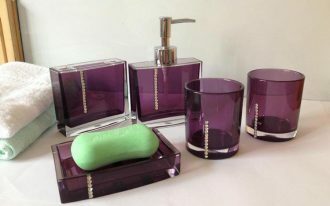 Just simply apply those colors on complementary items such as rug, towel, lampshade, and many more.